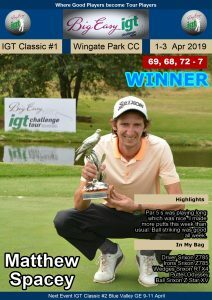 PRETORIA, 15 April 2019 – Eric Nel and Maritz Wessels share the first round lead in the Big Easy IGT Challenge Tour #1 after the Pretoria duo carded matching six under par rounds of 66 at Centurion Country Club on Monday. 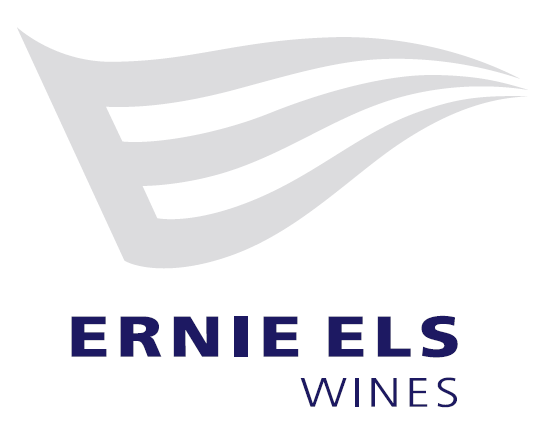 Local favourite Nel moved past a group of four bunched at the top of the leaderboard on five under with three birdies on the bounce from the 13th to the 15th holes. He was joined at the summit by Wessels, who reached six under courtesy of two great wedge shots at 14 and 16. Roberto Lupini, Jason Rossiter and former GolfRSA National Squad stablemates Malcolm Mitchell and Clayton Mansfield are one off the pace in joint third. 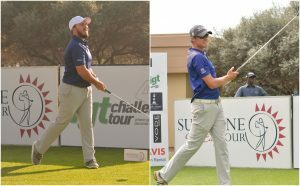 Wessels, a former IGT Challenge Tour graduate, enjoyed three competitive seasons on the Sunshine Tour from 2013 to 2015 before he lost his card. 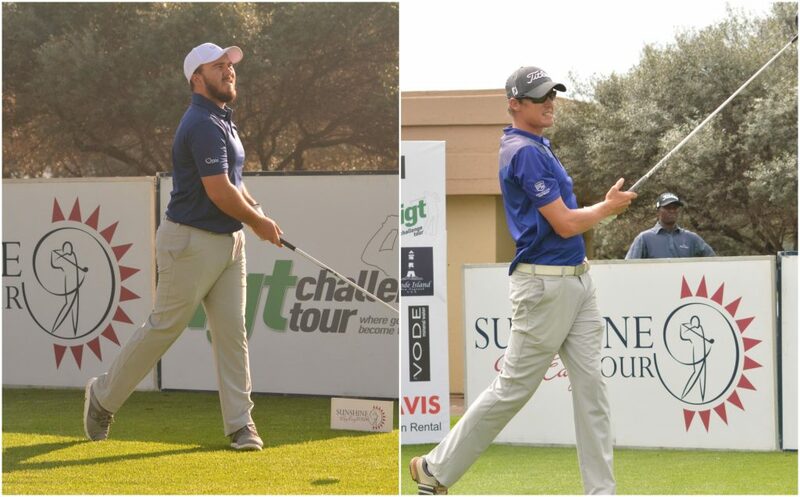 He hopes to play his way back onto the main circuit via the Big Easy IGT Challenge Tour. “This circuit is a mulligan for guys like myself and the youngsters who aren’t quite ready for the bigger leagues yet,” said the 31-year-old Wessels, who coaches at Colban Driving Range in Pretoria. 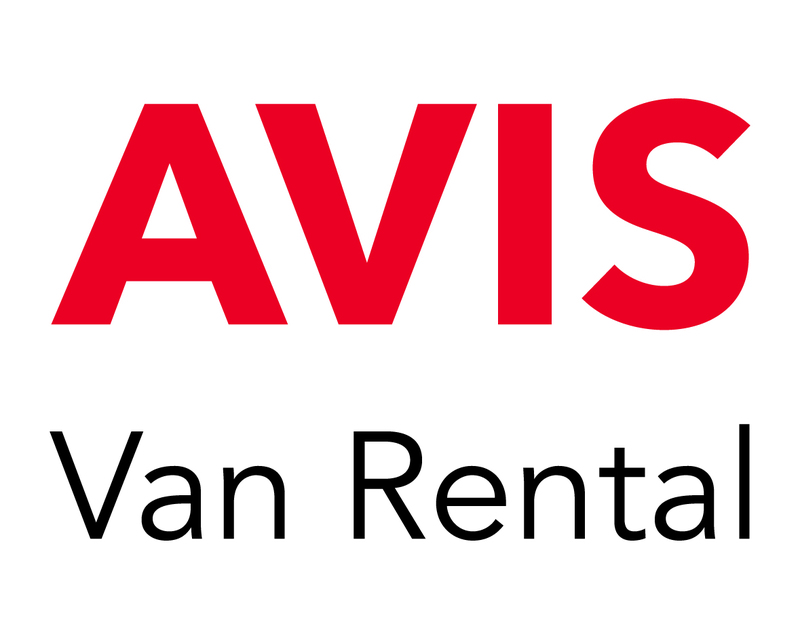 The Waverley resident got off to a fast start with a two-putt birdie at the par five first further gains at five, six and eight took him around the turn in four under. “I played really nicely to start with and I was fairly consistent, but I definitely left a couple out there on the back nine,” said Wessels. “I hit it close at five and eight and holed a 15-footer from the back of the green at six. “Got it to five under with a birdie at 10, but gave it back at 11 when I couldn’t up-and-down from the greenside bunker. At 14 I wedged it to a foot and at 16, I hit another really good wedge in to 10 feet and boxed the putt. “I hit my approaches pretty close, which makes life easier, and I holed the short ones. I could have been more under par, which is always a bit frustrating, but you can’t complain at six under. Nel also missed out at Q-School in March and has the same goal as his co-leader. “I had a nice little run on the back nine where I birdied three in a row,” said the 21-year-old Centurion resident. “I hit it left on 13 and 14, but I got on the green and drained 20 foot putts on both holes for birdie. At 15, I laid up to 100 metres, pitched it to three feet and boxed the putt. Thabiso Ngcobo, who finished third overall in the Gary Player School Rankings last season, opened with a four-under-par 68 to sit two strokes off the pace. 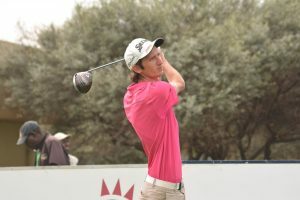 The Pretoria golfer shares fourth with SAGDB graduate Keelan van Wyk, fellow Gary Player School member Teboho Sefasta, Quintin Wilsenach and Krugersdorp golfer Ruan de Smidt, who stormed to victory in the 2019/2020 Sunshine Tour Qualifying School last month. 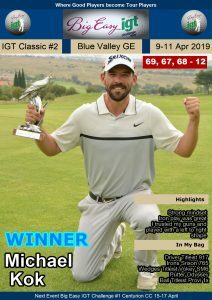 Vusi Nqobeni Qualifying School winner Franklin Manchest and GolfRSA National Squad duo Christiaan Burke and 15-year-old Yurav Premlall finished in a group of 13 players on three-under that round out the top 10, including last week’s IGT Challenge Tour #2 winner Matthew Spacey. 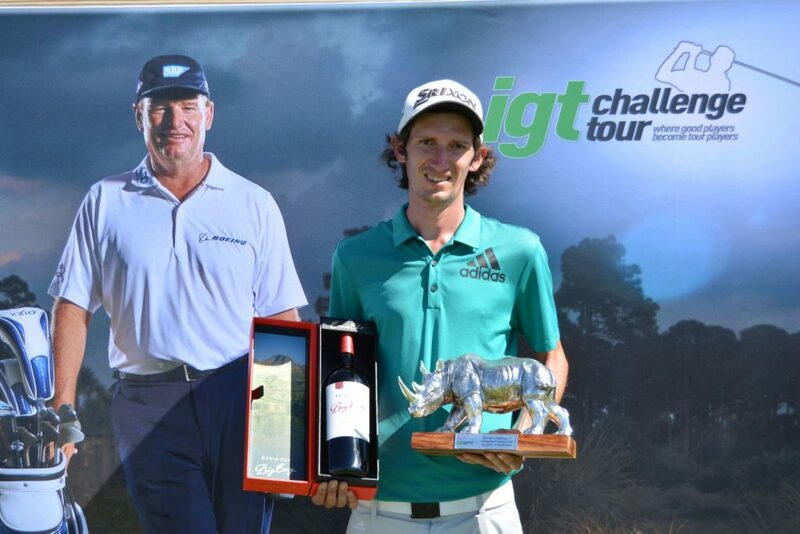 Written and released by Lali Stander on behalf of the Big Easy IGT Challenge Tour.